In 2012, we published a report to inform community members in Chicago about juvenile detention and incarceration (with a particular focus on Cook County). We conceived of this as a cheat sheet that would provide the most recent data about detention and incarceration in Illinois and Cook County that we could find. Today, we are releasing an updated version of the “Conscious Chicagoan’s Guide to Youth Detention and Incarceration” that includes data mostly from 2012 & 2013. The data cover both the Cook County Juvenile Temporary Detention Center (JTDC) as well as the Illinois Department of Juvenile Justice (DJJ). 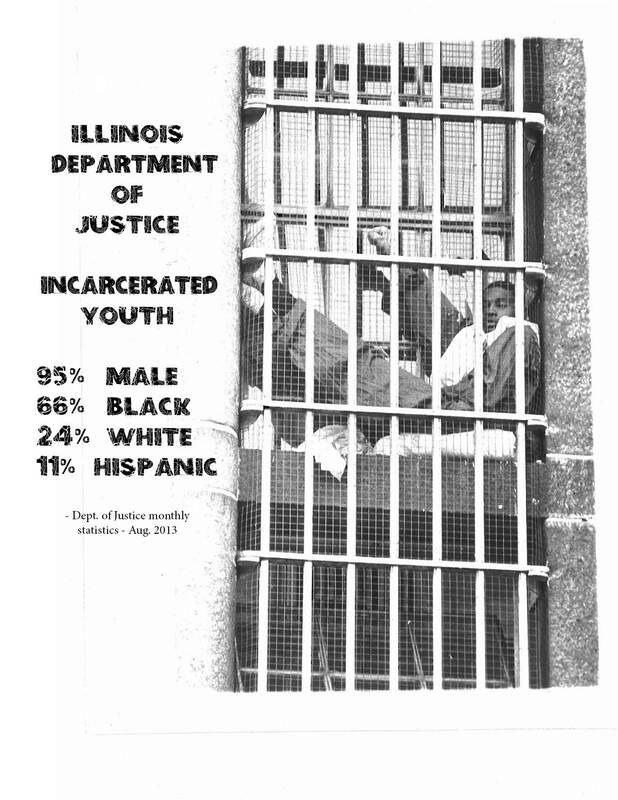 We are releasing the guide on the heels of our more comprehensive juvenile justice in Illinois data snapshot. You can download our updated Conscious Chicagoan’s Guide to Youth Detention and Incarceration HERE (PDF). This entry was posted on May 14, 2014 at 1:12 am and is filed under Cook County Juvenile Temporary Detention, Facts and Statistics, Illinois Department of Juvenile Justice, Youth Incarceration. You can subscribe via RSS 2.0 feed to this post's comments. You can comment below, or link to this permanent URL from your own site.